The artwork from a story loved by parents and children has gone on display in Brighton to celebrate its 40th birthday. The Snowman has sold more than five million copies worldwide. Now, Raymond Briggs’ iconic story is being exhibited at the Brighton Museum & Art Gallery. Our reporter, Charlotte Wilkins went along for a preview. 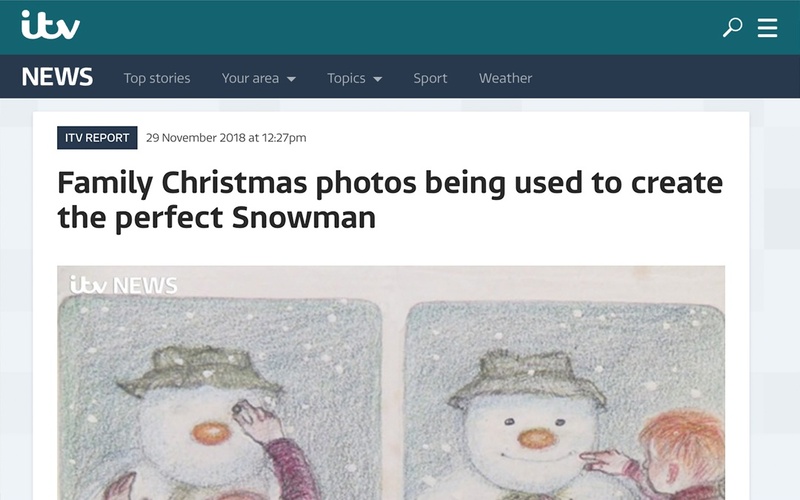 Fans of The Snowman to upload their favourite festive photographs and memories from the past 40 years to celebrate 40 Years of Raymond Briggs’ classic picture book, The Snowman. A giant photo mosaic of The Snowman will then be created using hundreds of these images. The final artwork will be exhibited at Brighton Museum from 4th December to 6th January. A digital version will also be available to view on line where participants can zoom in and view their photograph. Get involved and to upload your photograph here, before 23rd November.